There are no pure democracies as they lead to a tyranny of the majority hence why they are a failed form of governing. Democracy depends on a mandate which comes from the majority of a population supporting an outcome irrespective of whether the outcome is appropriate and correct under the circumstances. Pure democracy fails to tyranny because there are no checks and balances on the mechanisms by which power is coalesced and seized by a centralized government or group to usurp the sovereignty of the individual. This failure is apparent in all government systems that destabilize, and pure democracy, being volatile, destabilizes rapidly. Direct democracy has never been tried in the modern world. 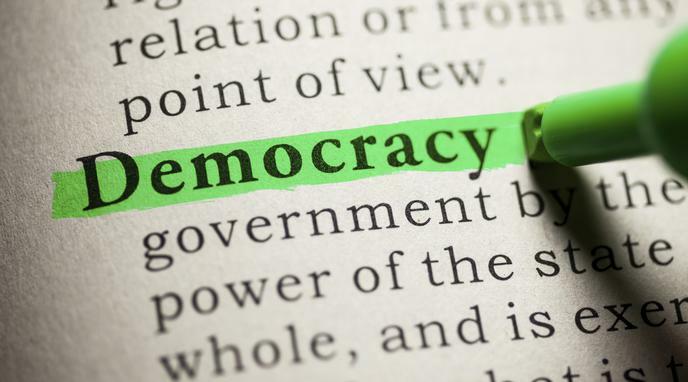 Direct democracies are not the only form of democracy, so the unworkability of that one form does not indicate that democracy in general is a failed system. Just because pure democracy is dangerous does not mean that democracy as such has failed. If the principle is useful in moderation, it can still be a success.